~- Hello Daly -~: Cycling CAN Do This for You! When I started using my bicycle for transportation, I did not have a goal or objective set. I only wanted to ride my bike to work "regularly". As the weather became warmer and warmer, so did my miles increase .. and total time increased as I chose a new, more peaceful but longer route to get to work. By the time I rode home today, I had logged 380 transportation miles for April. That is 28:37 hours of cardio exercise without breaking a sweat! Just kidding. I DO, at times, break a sweat because I like to challenge myself to break personal records but it feels like no effort at all. I cancelled my $25/mo. gym membership because I barely used it at all this year until I eventually stopped going during lunch. Do YOU know what THAT MEANS?!?! To me, it means FIVE more cups of cappuccinos each month!! Hey I tell you this NOT to impress you because I think I would rank last in this town of bicycle commuters who have probably stopped logging because they just can't keep track anymore. I share this because I am surprised by this new milestone. Because after 214 miles in March, I didn't think I could get any more miles in that what is normal for me. Despite this, the bigger news is my vital health statistics. For the past four years, I have struggled with borderline high cholesterol. It runs in my family and I would not have known if I had not had blood work as part of an annual prevention plan at my workplace. My bad cholesterol (LDL) went from 134 mg/dL to 81 mg/dL and most of the improvement has been in this past year. No doubt from the past few months! My good cholesterol (HDL) even went up from 92 mg/dL to 98 mg/dL. Over the past year, I have lost a total of 10 pounds, 6 of those pounds were lost in the past few months! 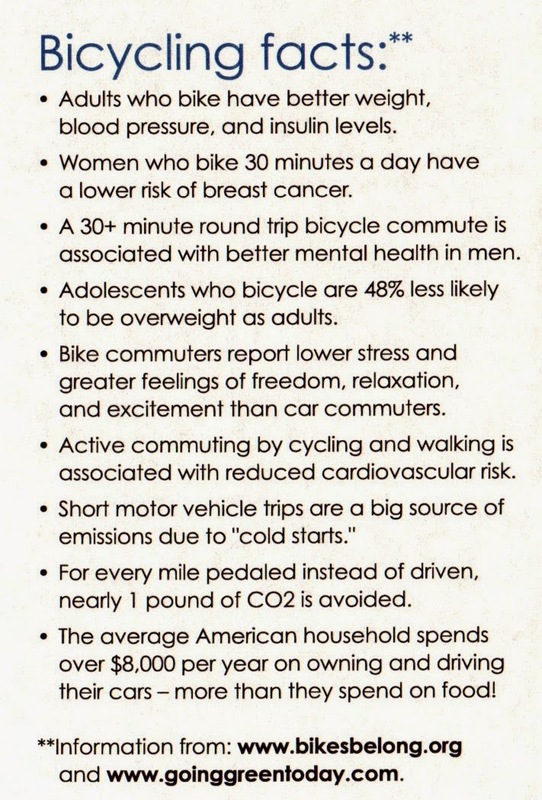 I have always heard that bicycling is good for your health in so many ways and now I am actually seeing the results. Look at these facts. When I lived in Vegas, I would ride for hours on a Saturday and log 80+ miles and then go ride on Sunday, usually less miles and somewhere between 50 to 75 miles. But my vital health has NEVER been anywhere as good as this. Sure it kept my blood pressure low and I still have low blood pressure but I truly believe this regular bicycle commuting is helping my cholesterol. That an improving my diet. 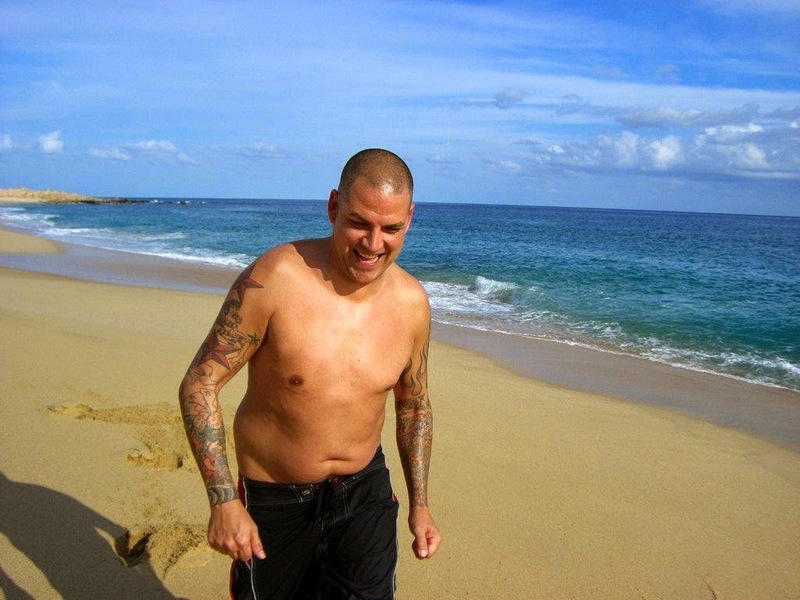 Speaking of which, my husband who is 6'0" tall, at the height of his weight had reach 228 lbs. John, not quite at his heaviest at 6 feet tall. 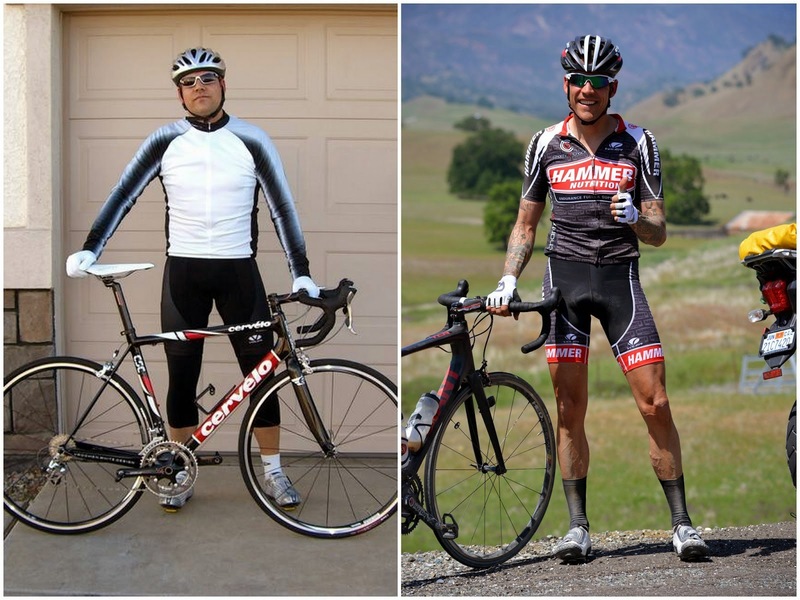 Through cycling, he shed his extra weight in a matter of months. The process happened so quickly I had a hard time adjusting to the 'new him'. To me he was SO SKINNY!! But I am used to him now. My husband John is a bicycle racer. It is what motivates him to ride and train as hard as he does. Where I am motivated with a purpose - I NEED to have a place to go. Don't get me wrong, I still enjoy road biking for the sport. I just haven't had much time with my involvement with various organizations and something going on nearly every weekend. Anyway, John had the last 10 pounds to lose. When you race and climb hills, every pound counts. So with my help on a new eating program, he was able to lose those "extra" pounds. My husband is my biggest fan and supporter. He is the reason I got into cycling (and probably why I continue riding today). And because of cycling, I have accomplished so much in terms of my health and well-being! !